A trip to the backcountry wouldn't be nearly as enjoyable without your morning coffee, afternoon tea break, and a hot meal to warm your innards at the end of the day, so you could say that the Primus Express TI Kit is a must-have item when you head to the hills. 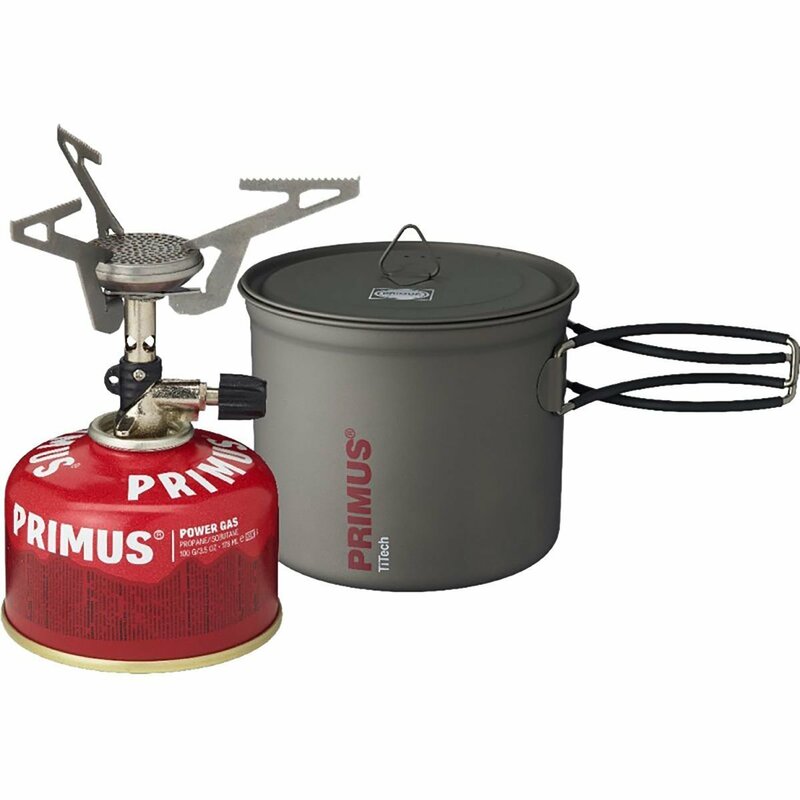 This sturdy set up comes with Primus' Express titanium stove and a one-liter pot. The simple and easy-to-use stove is equipped with lightweight titanium pot supports that will accommodate larger backpacking pots, but are still light enough to keep the weight of the stove down to just under three ounces.